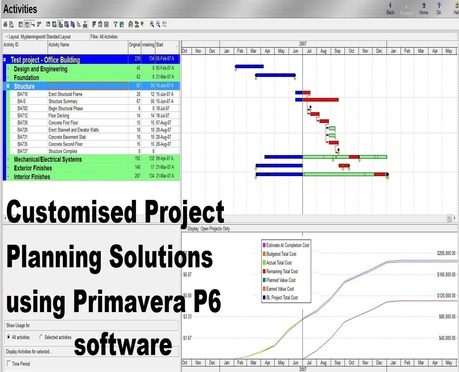 Myplanningworld Consultancy Services is committed to bring relief to Project Managers in the resources, buildings & construction industries by providing customised project planning solutions in Primavera P6. to projects in Australia. Our services are categorised into Free, Regular & Special Services which give flexibility to our clients to engage us right from the beginning of the project and customised to what they want to achieve within their budget & time needs for the their projects. We are an Australian company for Australian customers. Besides we are easy to reach out to, provide satisfactory customer services, have systems in place to meet our customers’ requirements, environment friendly, offer pay as you go & many more benefits to our customers. Our vision is to grow into a multi-disciplinary multi-national company offering various products & services within & beyond Project Management & be recognised as a leader. As sound planning is a pre-requisite to turn this vision into reality we kicked off with Project Planning Services. Our Mission is to help SMEs with their planning requirements who can’t really afford to hire full-time planners and have a budget & time frame in mind. We aim to build strong relationships with our customers by helping them in their needs. We strive to build strong relationships, add more products & services then expand to other states and countries in steps to turn our vision into reality. Myplanningworld was established on 06-Jan-2014 by Founding Director & Owner Madhu Barai in Perth, Western Australia. Our business name “Myplanningworld Consultancy Services” with the logo is Trademark Registered. We are offering 45 minutes obligation free consultation within Perth to evaluate requirements. Please feel free to contact us. Because we are offering customised Project Planning solutions, we are offering you tremendous savings such as no office space, no computer or software requirements, no redundancy or termination hassles and no worries to keep us full-time all the way long, just use us as you go forward with your project. There are many benefits and hence as many reasons to choose us as your preferred Primavera Project Planning Services provider.